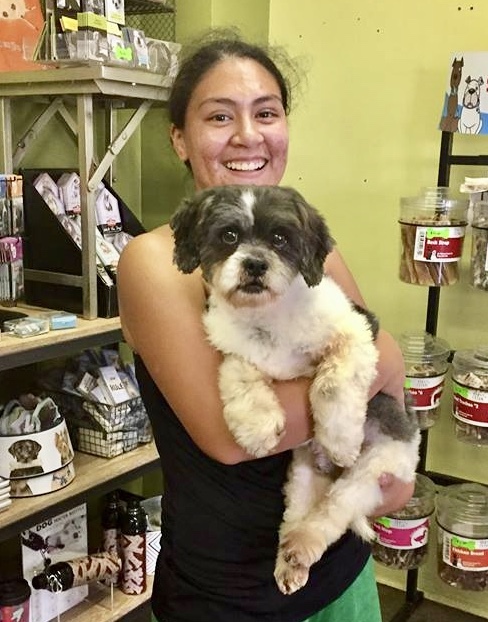 Because pets remind us of the important things in life: connection, love, companionship, playing, naps, and sun; Sarah’s Pet Care Revolution seeks to give back as much to them as they give us. We want to make your pets as comfortable as possible, show them how much we care, and keep their routine consistent even when their owner cannot be home. As the security of your pet and your home is important to us, each staff member has undergone a full criminal background check. Our core values include integrity, warmth, responsibility, intuitiveness, and sense of humor. All of our staff members bring these attributes to their work in addition to experience with cats and dogs and First Aid/CPR training, ensuring that you and your pet receive the best service possible. Sarah Covert is a native New Orleanian and alumna of Benjamin Franklin High School and Newcomb College of Tulane University, where she earned a BA in Women’s Studies and a BS in Psychology. Prior to establishing Sarah’s Pet Care Revolution in November 2010, Sarah was a nonprofit, social justice professional. Previous positions include Recruitment Fellow, Teach For America; Program Associate and then Southern Strategy Coordinator, Ms. Foundation for Women; and Policy and Media Coordinator, Juvenile Justice Project of Louisiana. Inspired by the sense of peace she felt around her own cats Matrix and Peanut, Sarah carried on her family’s tradition of entrepreneurship (Casey’s Snowballs, Covert’s Shoes, L&L Furrier), by starting a small business of her own. She is an alumna of the Goldman Sachs 10,000 Small Businesses Program at Delgado and was a finalist for the 2016 Junior League Woman Entrepreneur Fellowship. Sarah is a Vice President of the National Council of Jewish Women, Greater New Orleans Section. Rebecca received a B.S. in Psychology at Tulane University, where she designed her own program in Animal Behavior. Inspired by her experience training her rescued German Shepherd/Rottweiler mix, Nyx, and caring for her two loving adorable cats, Rebecca learned working with animals was her calling. She worked as a Primate Research Assistant in Paraguay, an intern zoo keeper at Audubon Zoo, and has experience with insects, reptiles, amphibians, birds, and other wild and domesticated animals. 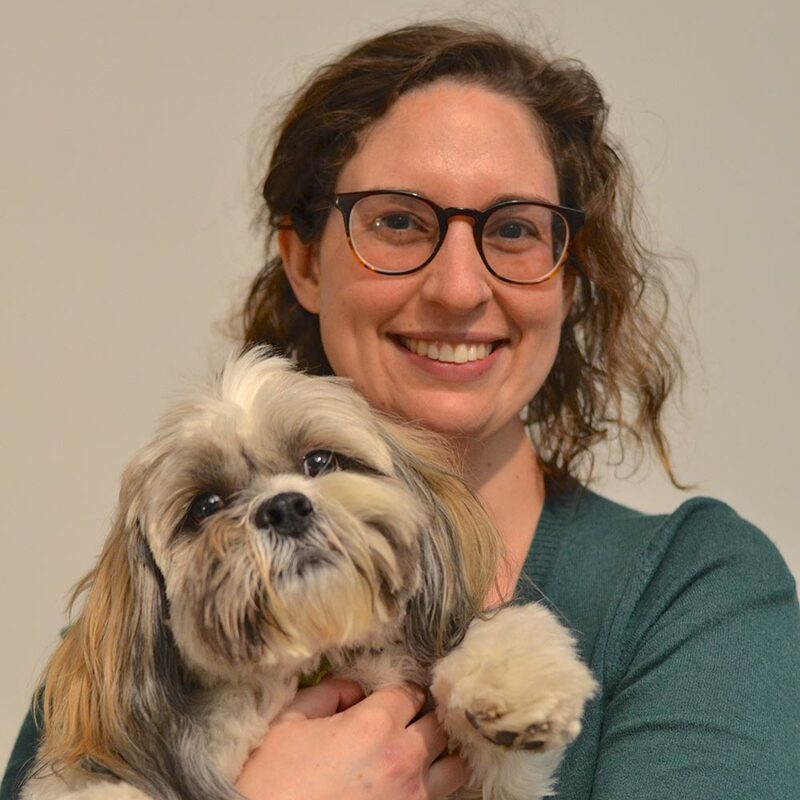 Rebecca joined SPCR in July 2014 to serve as Pet Expert- Uptown, was promoted to Operations Manager in October 2015, and became the Chief Operating Officer in May 2017. Frances received a B.S. in Animal Science at Cornell University while working alongside a fantastic organization called Guiding Eyes for the Blind. She spent 3 years training and socializing German Shepherd, Golden Retriever, and Labrador puppies to prepare them to work as guide dogs. 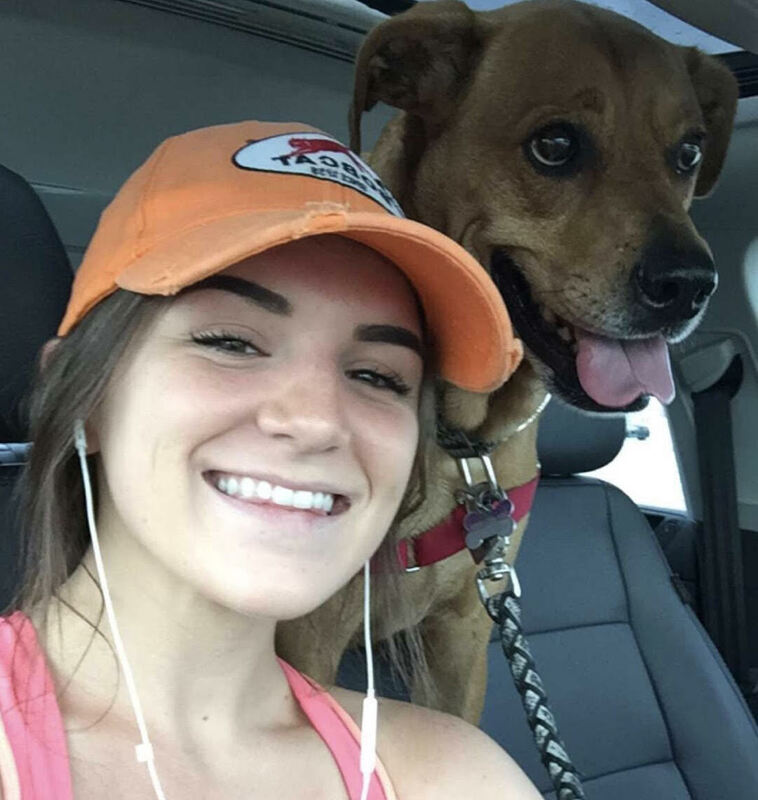 The skills from this organization even helped her with her newest rescue dog. After graduating, Frances worked as an intern zookeeper with a wildlife rehabilitation clinic in Nelspruit, South Africa and a small zoo in North Carolina. Most of her knowledge about domestic house cats actually came from school and working alongside their wild cousins! She absolutely loves to enjoy nature, and frequently hikes, backpacks, and travels to national parks, beaches, and remote places with her three dogs while her three hermit crabs stay with a friend. 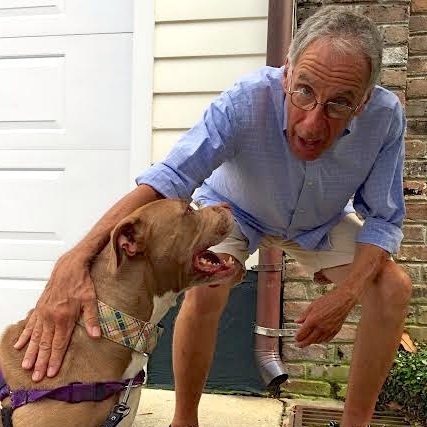 John came to the Sarah’s Pet Care Revolution team with glowing reviews from pet sitting clients he served in Atlanta after retiring from a 30+ year career in computer programming and information services. He relocated to New Orleans to be near friends (including those who are also friends of Sarah’s family) and joined our team in July 2013. John is an avid reader, specifically enjoying mystery novels by authors Michael Connelly, Dennis Lehane, and James Lee Burke. Ginny is originally from Houma, LA, but made New Orleans her home over 8 years ago. Her first job as a teenager was as a bather and groomer in a grooming shop. 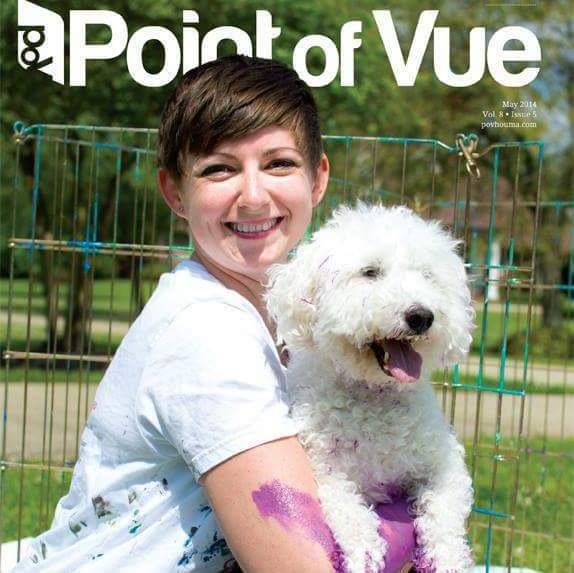 She also worked as a veterinary technician, and is currently the owner of Puppy Picasso, an organization dedicating to making special moments with pets through art. Her passions have always been art and animals, so combining the two was an easy choice. In addition to Puppy Picasso, Ginny regularly plays the role of foster mom to rescue dogs (her special weakness is for the senior ones!) and is now an SPCR Pet Expert.